Tree Cabling | John B Ward Co. 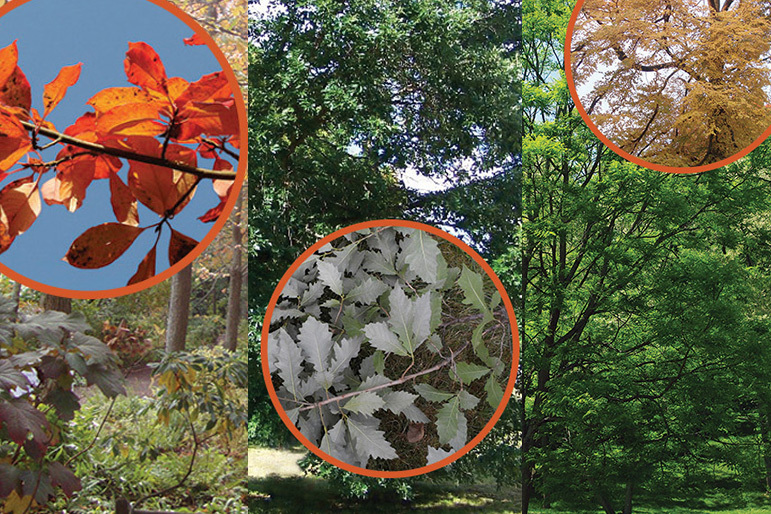 Proper installation of tree supports is regulated by two organizations: the American National Standard Institute (ANSI) and the International Society of Arboriculture (ISA). 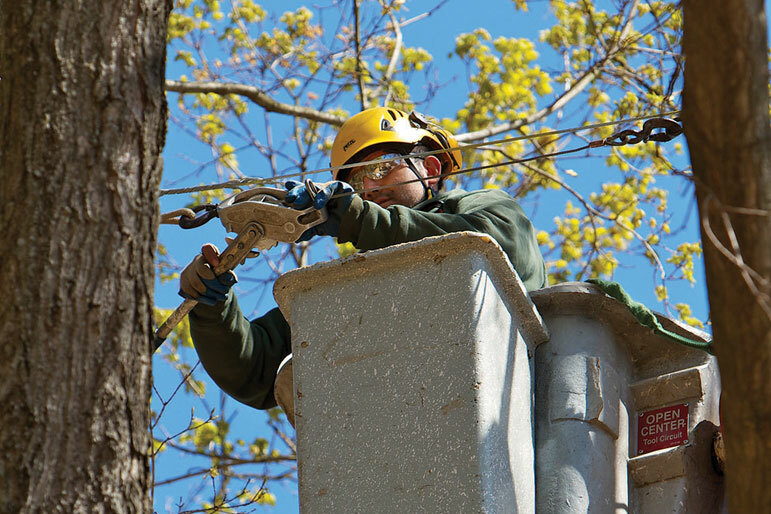 ANSI and ISA regulate the materials and procedures involved in tree cabling, a technique that has a long history and has stood the tests of time and science. The purpose of tree cabling is to create or strengthen structural support in order to reduce hazards and extend the life of the tree. 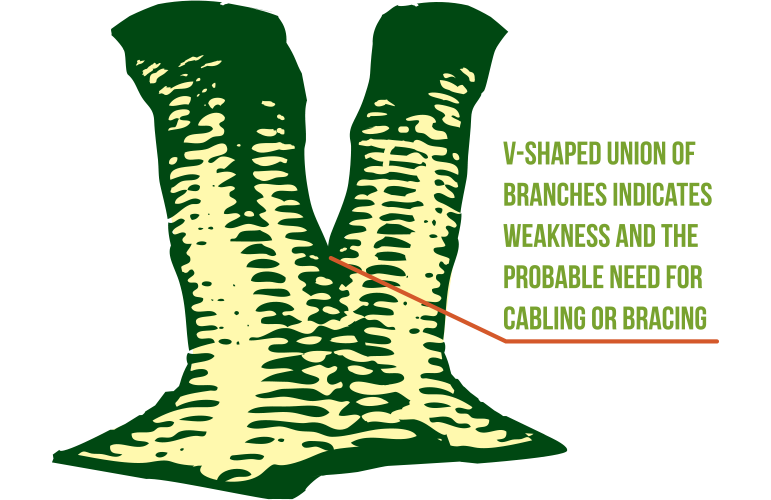 There are many reasons to cable; the most common ones, which can easily be detected visually, are leads joining together in a “V” crotch, bark in the crotch growing inwards, and two leads of equal diameter with very limited taper. The starting point for cabling is finding the correct point in the tree. It should be approximately 2/3 of the way up from the crotch. Depending on the branching, thickness of the leads, etc., cabling can be done above or below that point. 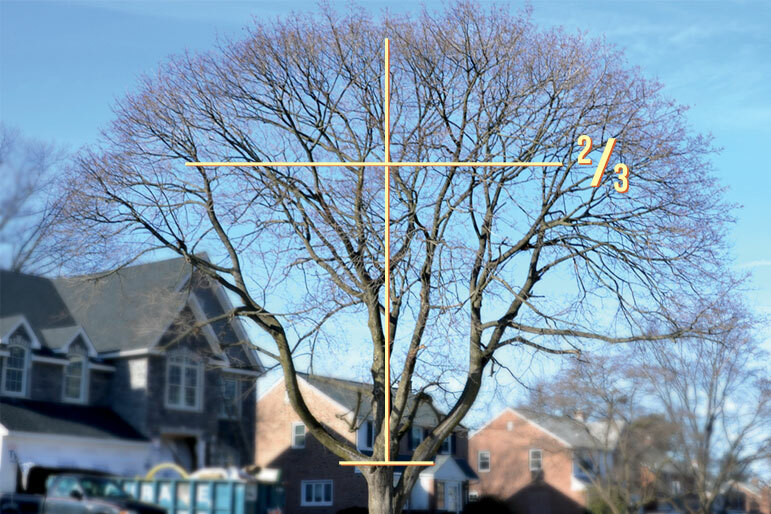 The size of the tree will help determine the material used. 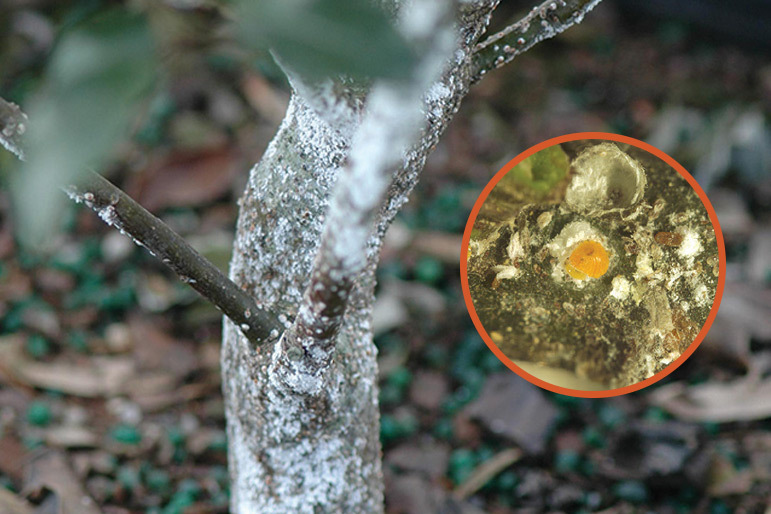 As an example, for very small trees we use a lighter gauge Swage cable. For larger trees, we install heavy duty cable and hardware such as bolts, nuts and washers. With any cabling process, a hole is drilled through both stems of the tree and the wire or bolts are installed correctly. The single most common question we hear from clients after the cable is installed is, “I can’t see the cable; are you sure you installed it?” Often the cable is hard to see. But don’t worry, it’s there and we will always be glad to come over and show you where it is!